Demand-based pricing is one of the simplest ways to price your products in a way that maximizes their chances of actually selling. Rather than relying on industry trends, your own product history, or a gut instinct about what a product “should” sell for, demand-based pricing uses what customers think about your product as a starting point for pricing your products. 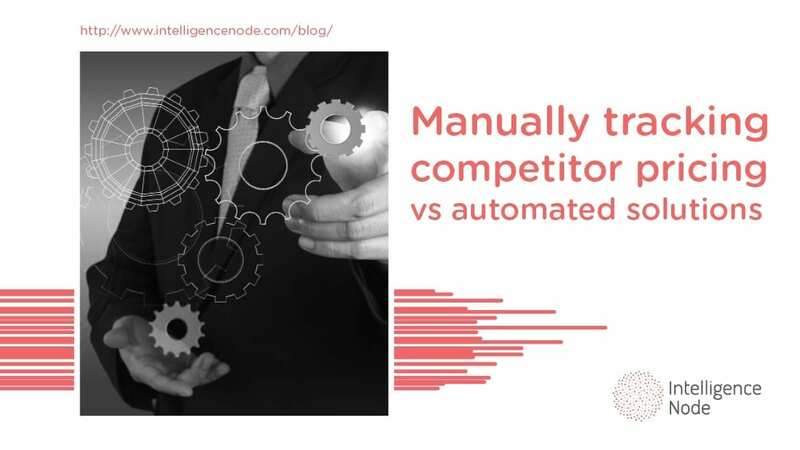 Automation can empower a demand-based pricing strategy. Intelligence Node automates the data you need, offering you insights and analytics that help you shape your pricing according to customer needs and demands. There are many ways to price your products. Demand-based pricing uses what customers already think — or what they will think after you initiate a product campaign — to set prices. Rather than requiring you to shape customer perceptions of value, to waste time researching your competitors, or to charge more than your competitors because of the work a specific product demands, demand-based pricing helps you set a price point that’s likely to actually work. Demand-based pricing maximizes your profit margins by deftly responding to ongoing or anticipated changes in demand. Consider the retail frenzy that occurs every Black Friday and Cyber Monday. Consumer demands shifts toward more purchases and lower prices, with some big-ticket items drawing more consumer interest than they do for the rest of the year. Retailers must respond to these demands. Those who don’t stand to miss out. Contemplate how a retailer who has no sales on Black Friday, or who is out of big ticket items on Cyber Monday, might fare compared to the competition. Demand-based pricing strategies help you prepare for ebbs and flows in consumer desires, confidence, and expectations. They are the gold standard in retail pricing. Price skimming: Setting a high price at first, in an effort to increase demand, then gradually lowering the price so the item can reach more consumers. Price discrimination: Offering identical products at different price points based on changes in demand. For instance, wedding venues might rent their spaces at dramatically higher prices during the summer wedding season and on weekends than on weekdays or in the off-season. Value-based pricing: Setting prices based on the perceived or actual value of an item. For example, a designer handbag may have a relatively low actual value, but the cache of the designer name can greatly increase the consumer’s assessment of the item’s value. Penetration pricing: The opposite of price skimming, penetration price sets a low initial price to draw in new consumers. Retailers then raise the price over time, as consumers become more interested in the product and therefore more willing to pay a premium. Bundle pricing: The practice of raising demand for an item or items by bundling multiple items together. A retailer might offer an unpopular item bundled with a more popular one at a slightly higher price, increasing sales for the less popular item. Brands such as Nintendo have long relied on bundle pricing to drive sales. Demand-based pricing is far from the only retail pricing strategy out there. But it’s the best option for most products. Why? Because it works. Retailers are often entrenched in pricing strategies that don’t work. Price “stickiness” makes it easy to automate sales processes, and even easier to predict how your products will be priced in the future. 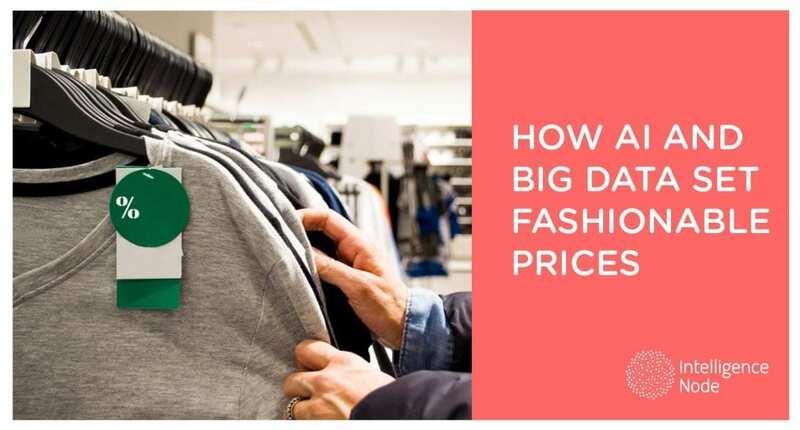 Retailers using this strategy make pricing decisions based on historical trends, on the number of households they think will purchase a product, and on how much of a product they have on hand or hope to purchase. The problem is that this approach to pricing just doesn’t work. A number of studies have found that demand-based pricing is the best pricing strategy for increasing profit margins. Why is demand-based pricing more effective? It opens new opportunities for profits due to market and seasonal changes. It helps you determine which items you should stock more of. It enables you to profit without making any changes to your inventory, manufacturing processes, or marketing strategies. It helps you remain competitive without requiring changes to your products. 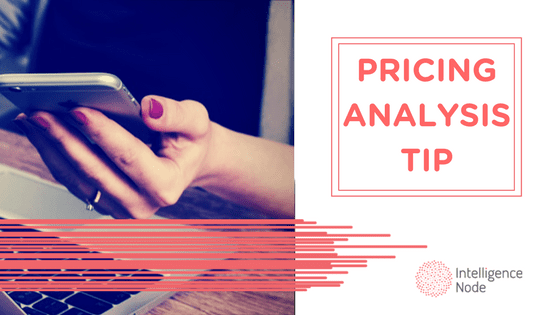 The challenge of demand-based pricing is that it requires detailed analytics on every product to which you apply the strategy. It’s not easy to set prices based on consumer demand, particularly since demand can change on a dime. To get the most out of demand pricing, you must constantly adjust your prices based on input from the market. An item might change prices every week, or even every day. And then its price could remain stagnant for months. For a mom and pop shop selling only an item or two, that’s easy enough. But for a large brand with hundreds or even thousands of items for sale, demand-based pricing can prove challenging. That’s where automation can save the day. By managing analytics on hundreds, or even thousands, of products, the right automation software makes it easy to track trends over time. What you’ll likely see is that there’s no time of year where every item’s price is up or down. For a small business pricing items by hand, this information can make pricing a challenge. But for a large business with automation capabilities, demand-based pricing is a snap. Simply look at demand trends and price accordingly. Intelligence Node offers comprehensive analytics, enabling you to make decisions at every stage of your process. Incompetitor is your ally in the quest for reliable data that can help you set prices. By offering real-time trends and forecasts, our product enables you to predict the pricing future. We offer a range of forecasts based on different scenarios, offering you the sort of data that once required a team of data scientists and trend forecasters. Armed with Incompetitor, you can set prices that really work, capitalizing on demand-based pricing without all the hassle. Still not sure how to price your product? Check out our post covering seven effective pricing experiments.